I was born with a generational curse. My dad was a full-blown alcoholic. He didn’t make it out of his addiction: he died when I was nine years old. Everyone told me I looked just like my dad and was going to be just like him! I did grow up in church thanks to my maternal grandmother; but when she died, my mom stopped taking me. I do believe that, because my grandmother was such a Christian woman, God’s promises to her rescued me out of my addiction. Wow! That’s when a friend told my sister about Teen Challenge. I was desperate for help; death was knocking at my door. 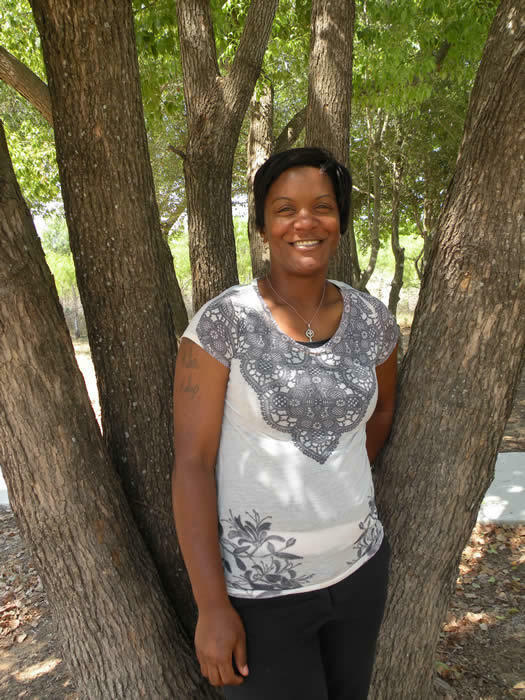 Since I’ve been at Teen Challenge of Texas – San Antonio Women’s Campus my chains are gone. I have a foundation and direction. I will never have to turn to a man, drugs, or alcohol when I’m faced with a challenge. I now have all the fruits of the Spirit, I have learned to pray with power, I have learned about spiritual warfare, and I have learned to stand!